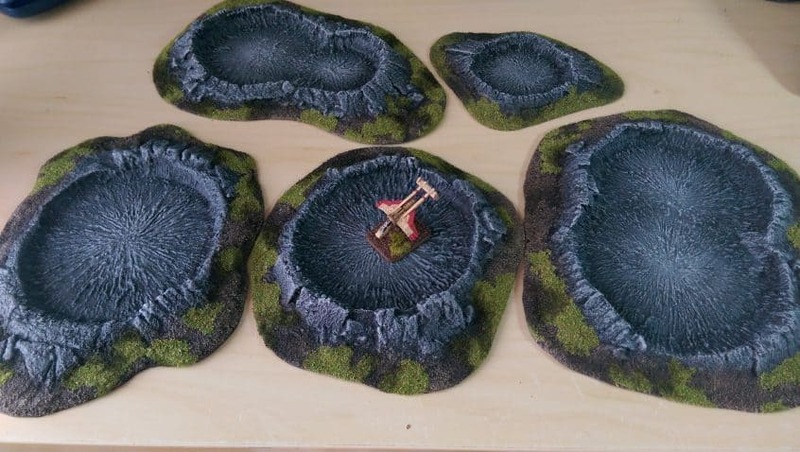 Shop-bought resin crater terrain pieces — painted, flocked and varnished. In the past made my own craters, but I sold those off some years ago. I wanted a quick and easy solution this time around to fill out my Epic battlefields. I liked these particular craters not only because they look good, but also because they are a practical design for gaming. Some other craters I’ve seen actually make it quite hard to place models.